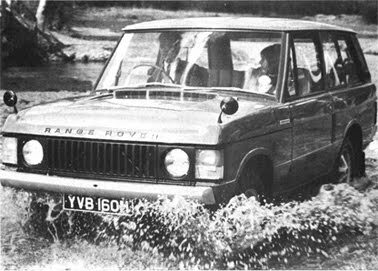 smooth control of the famous Rover Saloon cars combines the toughness and the cross-country performance of the Land Rover. This exceptional car, the Range Rover, is by its technical innovations and exceptional operating capabilities a whole new concept of "all-purpose" vehicles. 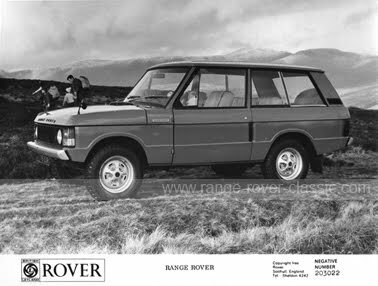 Equipped with an aluminum V8 engine of 3.5 liters, the Range Rover reaches a top speed of 153 km / h. The drive on all four wheels, with excellent ground clearance and a specially designed suspension system, afford the Range Rover through very rough areas to drive so fast as 80 km / h. It will also caravans or boats tow up to 1800 kg. "With this new model, British Leyland brings an attractive and functional car that delivers a new concept in styling and comfort never previously associated with versatile cross-country vehicles," said Richard D. Bergesen, managing director of British Leyland Europe. Sales in Europe will begin in 1971.
servo and can easily be blocked, for any loss of drive power to avoid in mud or snow or ice. control characteristics are still preserved. The front axle is by reaction arms and Panhard rods attached. Both axes by wide coil springs and hydraulic shock absorbers with long stroke suspension. 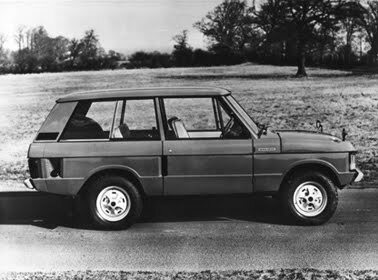 For its high performance control, the Range Rover was fitted with 4 disc brakes and dual brake circuit. of the four wheels to ensure, especially on steep slopes. exceptional strength of the Land Rover chassis. over the entire width of the vehicle. The top door is by pneumatic rising arms checked. and the standing kilometer taken in 36.3sec. The Belgium company S. A. Beherman-Demoen N. V. had the import to Belgium in the 1970's. Beherman Demoen were also a supplier to the police- and military forces with their own safety vehicles like the BDX Personnel Carrier.